As a U of T student, we have access to numerous fantastic resources, scholarships, and world-famous libraries. 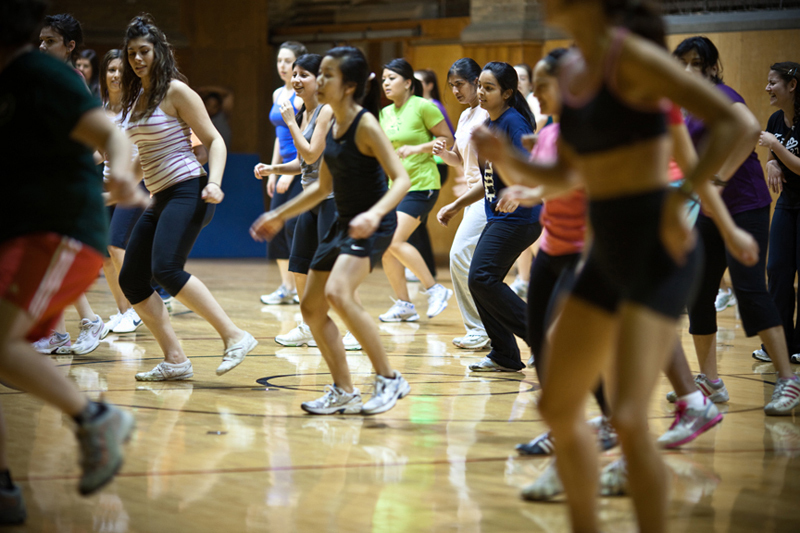 However, personally, my favourite perk of being at U of T is our Hart House membership, or generally, our access to daily free drop-in fitness classes. These classes are the best way to fit exercise into a busy schedule since they’re only 30 – 90 minutes in length and very accommodating to all fitness levels. Drop-ins are available at the Athletic Centre and the Goldring Centre as well, but since I’ve only been to Hart House, I’ll focus on those sessions specifically and share my experiences with some of the classes I’ve attended. Most of my friends love this class and adore the enthusiastic instructor, but I have only been once, and we had a substitute instructor that day. I found that I spent half the class falling off the Bosu balls and didn’t leave as sweaty as I would’ve liked — though to be fair, this is supposed to be more of a muscle workout than cardio, and I didn’t exactly push myself with the weights. I’m definitely willing to give it another try soon. Usually set to calming music, Flex Fusion is a wonderful way to reset at the end of a long week. At first, I was worried about standing out, because I can barely touch my toes, but the moves are fairly basic and easy to follow. You can easily set up in a corner or at the back of the room, and no one will care if you’re the least flexible person there. 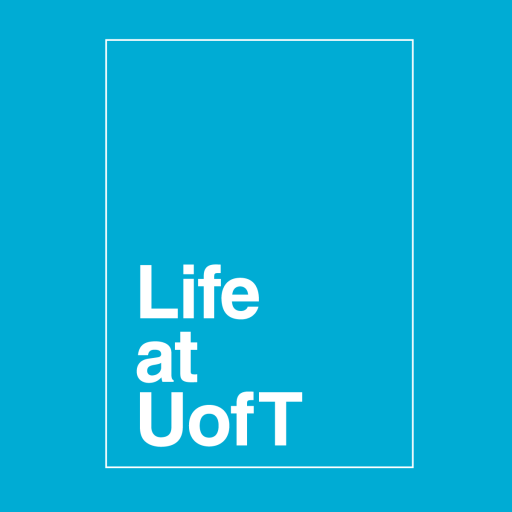 Over the past few years, it has worked as a yoga class replacement for me (although U of T now has free drop-in yoga now for the first time too!). It’s not much of a workout, but definitely succeeds as a de-stressor. Five minutes into the warm-up at Boot Camp, I felt ready to call it quits. As the instructor reminded me, we hadn’t even started yet. This class is intense. However, I did end up pushing through — the running, the push-ups, the planks, and all. By the end, I felt exactly like how one should feel at the end of a fantastic workout: sweaty, simultaneously energized and exhausted, and extraordinarily proud of myself. This is not something I would jump into on a whim, and I don’t go too often, but when I feel up for the challenge, nothing beats Boot Camp. Zumba is by far my absolute favourite drop-in class. 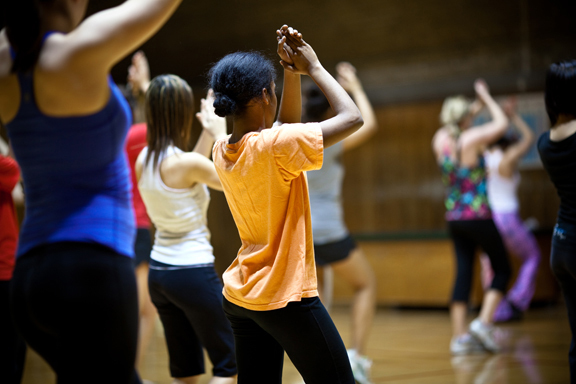 Every instructor teaches it differently; some will be more dance-focused and others will be more workout-focused. Personally, I find Rachel’s classes to be a really good balance of fun grapevines and skipping as well as squats and jumping. Zumba is one of the only times I genuinely have a good time when exercising and enjoy myself throughout. Even though I am definitely not proficient in dance, I find that I can keep up quite easily with the simple steps. Several of my friends go to this class weekly and have been doing so for years. I have gone twice, and while I did have fun, it wouldn’t be my first choice, simply because hip-hop dance isn’t really my thing. In this class, which lasts 90 minutes, there is a short workout at the start, then the remainder of the time is spent learning a short hip-hop routine. Going to Street Dance really showed me that proficiency is far from the most important thing; the people I admired most weren’t the most technically skilled, but rather the most enthusiastic participants who gave every move their all, even if they barely knew what they were doing. Seeing such unselfconscious eagerness and spirit encouraged me to embrace exercise in the same way, regardless of how I compared to those around me. There are dozens of other wonderful drop-in classes, and I definitely want to advantage of them — particularly the new yoga classes — before I graduate. As someone who has never joined an organized sports team, exercise rarely comes in a more simple, accessible, and fun form than this!